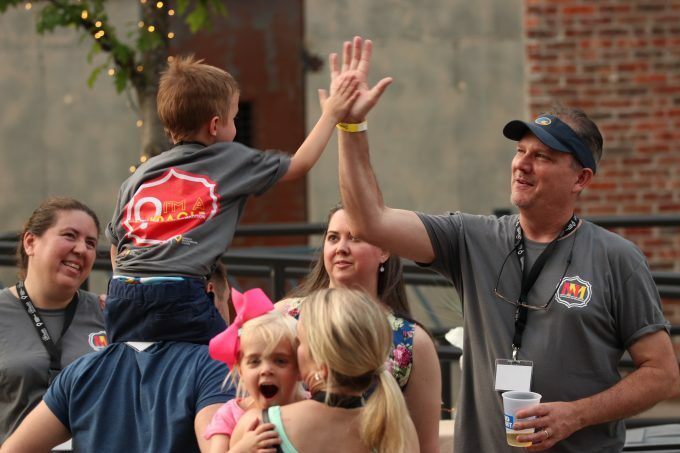 Last month, Tallahassee kicked off summer at the inaugural Miracles on Madison, a southern-style progressive dining hop through College Town, located in the heart of downtown Tallahassee. Proceeds from the event benefited Children’s Miracle Network Hospitals at UF Health Shands Children’s Hospital. Guests enjoyed entertainment by Old Soul Revival and Highway 85 while sampling food from five College Town restaurants. The event also offered street games for the kids, a silent auction, a Vegas-style casino and shopping among College Town’s boutiques. This event is held in honor and celebration of the children from the Big Bend who have been, or are currently, treated at UF Health Shands Children’s Hospital. Those in attendance from around the area joined in the fun while wearing an “I am a Miracle” shirt, showing all in attendance they were truly a miracle thanks to UF Health Shands. The inaugural Miracles on Madison was a sell-out, raising more than $28,900 for CMN Hospitals at UF Health Shands Children’s Hospital.